Abstract—When facing the "overabundant" of semantic web information, in this paper, the researcher proposes the hierarchical classification and visualizing RIA (Rich Internet Application) navigation system: Concept Map (CM) + Semantic Structure (SS) + the Knowledge on Demand (KOD) service. The aim of the Multimedia processing and empirical applications testing, was to investigating the utility and usability of this visualizing navigation strategy in web communication design, into whether it enables the user to retrieve and construct their personal knowledge or not. Furthermore, based on the segment markets theory in the Marketing model , to propose a User Interface (UI) classification strategy and formulate a set of hypermedia design principles for further UI strategy & e-learning resources in semantic web communication. These research findings: 1) Irrespective of whether the simple declarative knowledge or the complex declarative knowledge model is used, the “CM + SS + KOD navigation system” has a better cognition effect than the “Non CM + SS + KOD navigation system”. However, for the "No web design experience user”, the navigation system does not have an obvious cognition effect. 2) The essential of classification in semantic web communication design: Different groups of user have a diversity of preference needs and different cognitive styles in the CM + SS + KOD navigation system. Index Terms—Visualizing navigation, cognition navigation, multimedia information web communication design, concept map (CM), semantic structure (SS), knowledge on demand (KOD). Chyi-Wen Hwang is with Hsiuping University of Science and Technology, Taiwan, R.O.C (e-mail: welisfit@gmail.com). 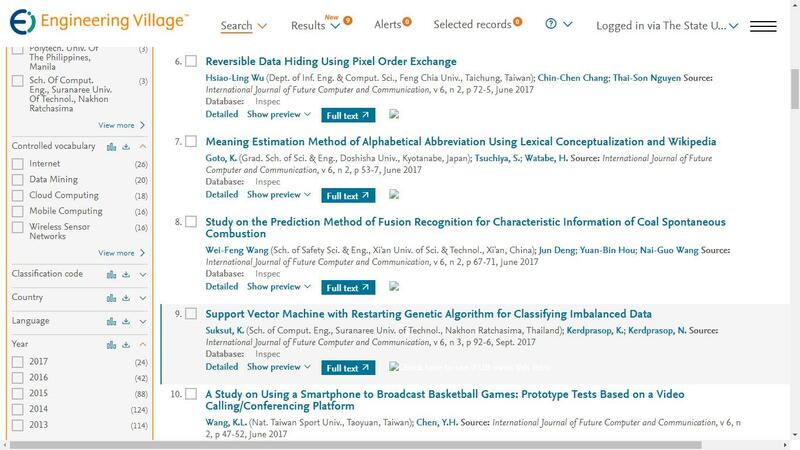 Cite: Chyi-Wen Hwang, "Visualize and Semantic Structure in Web Navigate Communication," International Journal of Future Computer and Communication vol. 4, no. 1, pp. 23-26, 2015.